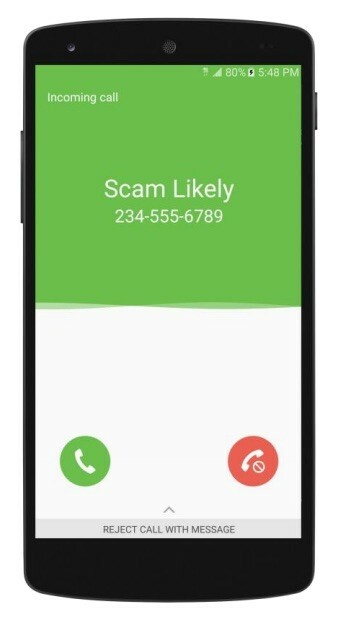 There will be two components to T-Mobile’s new service – Scam Alert which simply identifies suspected scam calls and Scam Block which works at the T-Mobile network level and blocks the scam call from ever ringing your phone. Still unknown – can “caller unknown” or “caller ID blocked” calls be manually set to be rejected. This is likely not going to happen because many businesses with PBX phone systems will legitimately send a “caller unknown”. If T-Mobile has the technology to discover the underlying number of a “caller unknown” and filter based upon it – sign me up!! Expect this to begin rolling out April 5, 2017, to T-Mobile One subscribers. Later it will arrive for all T-Mobile users. It’s free. The only added charge is if you want Caller Name ID which provides a best guess at the caller name when that caller is NOT in your contacts list.